The purpose of Core Insight is to monitor the outcome of your growth and transformation programs, this solution allows for local and remote monitoring of our customers key success factors. This allows the consultants from CapableCore to make corrective and decisive action to ensure on-going business success. Core insight gives our customers piece of mind by ensuring that we monitor and analyse real time data, and take action to ensure there business operations are not disrupted and our customers can concentrate on building and growing there businesses. 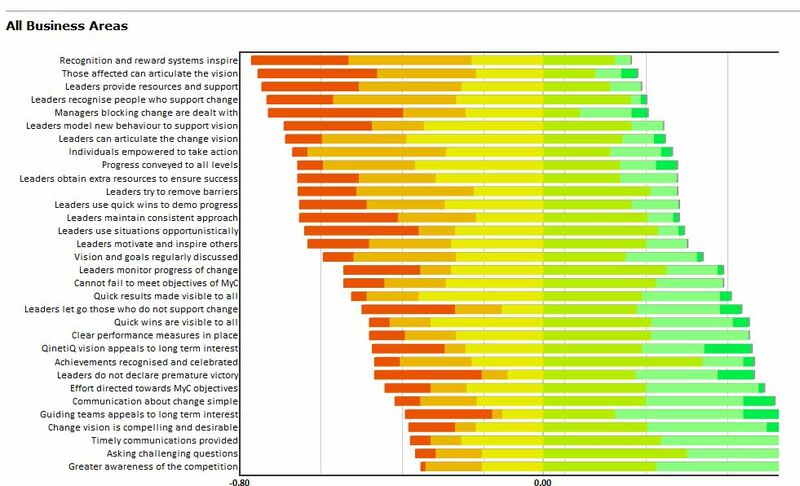 The Dashboard below was used at a FTSE 100 company to track employee engagement within a change program, it shows employees responses to a set number of questions related to the program. This allowed the company to take corrective action around employee engagement and go on to complete a successful transformation effort. 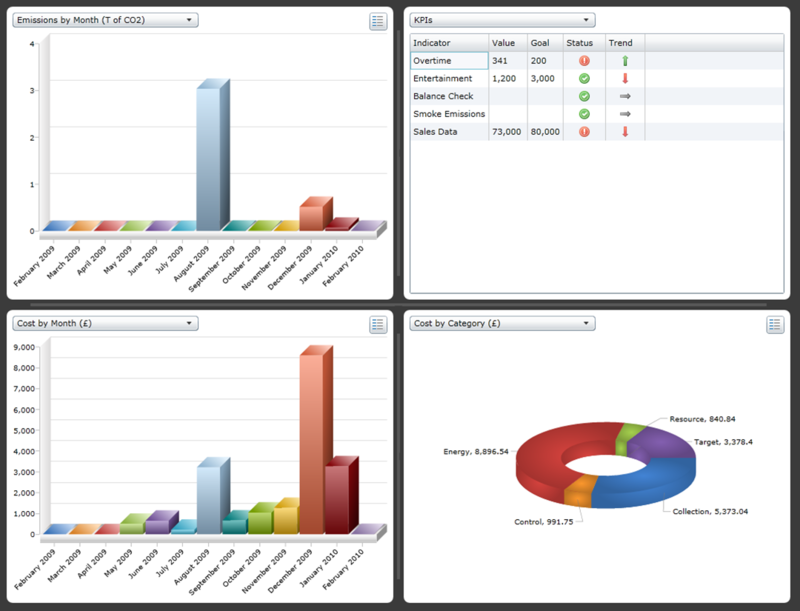 The following Dashboard was used by a large university to track the sustainable data such as CO2 and utility cost and usage.